Who can resist the urge to say "AWWWW" at friendly looking little animals? No one! They are always so irresistible. Now combine the look of one friendly little critter to a quality sound system and you get the all new GOgroove Groove Pal Juniors. Gogroove has come up with six cute and fun animal designs that you can choose from: panda, koala, owl, tiger, penguin, and a polar bear! Now, you to choose your favorite animal from the bunch and start having some audio fun! 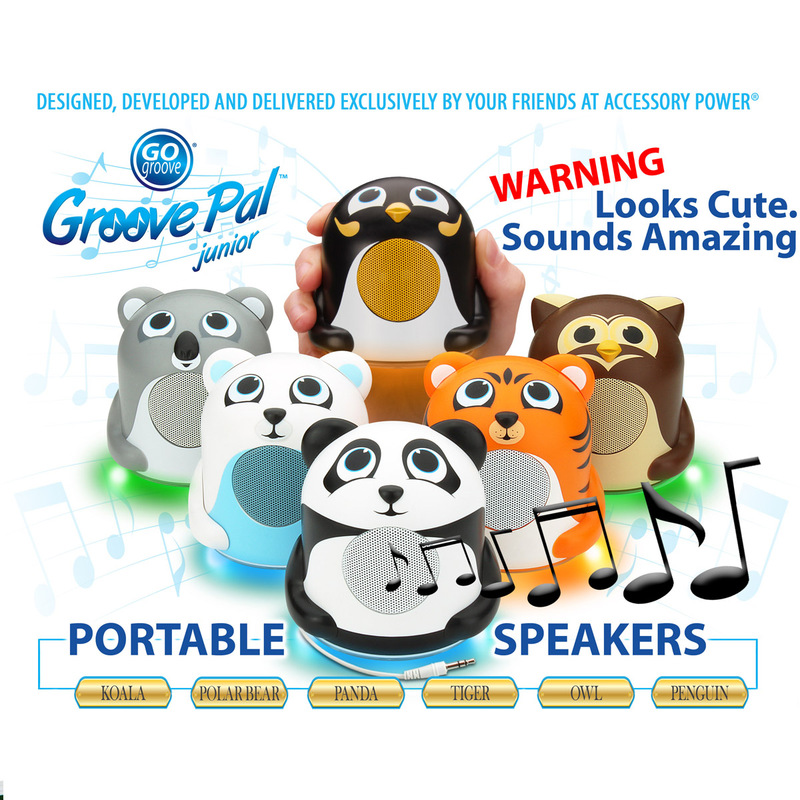 Each Groove Pal Juniors features a glowing LED base and universal 3.5mm aux cable, so you can plug in your smartphone, tablets, MP3 players and more! This way you can plug in and play your favorite tunes while living it up with your fun Groove Pal friend. On a further note, if you purchase the GOgroove Groove Pal Junior panda or tiger a part of your proceeds goes to Pandas International and Panthera, respectively. This promotion is going on until October 31st 2013. If you want to be in the know about great deals, you can sign up for our Weekly Newsletter! That's where you'll be the first to know about new products, special discounts, exclusive promotions and more!